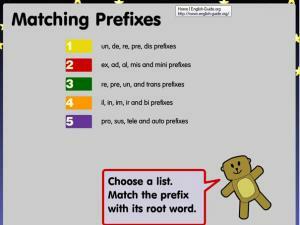 Listen to the video lesson, then work your way through the various games on this fun site.At the end of the lesson and games you will be able to define a prefix, give examples, put them into root words and use prefixes to form new words. 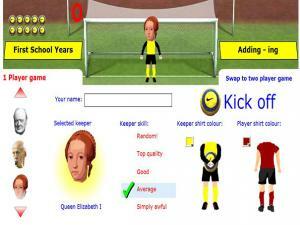 Listen to the video lesson and then go through the various games on this interactive site. 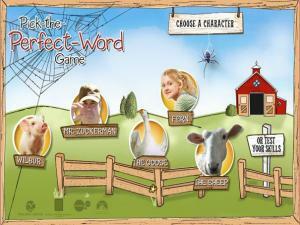 At the end of the games you will be able to define a suffix and form new words using some of the most common suffixes (-ly, -ful, -er, -est, -less, -ness, -able). Help the Chipmunks against the Racoon Rangers in the World Series Baseball Championship! 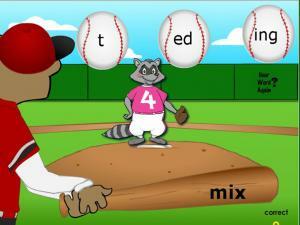 Swing at the right pitch by clicking on the correct ball for each word you hear. Try to figure out the word by first looking at the base word shown on the bat and then select the suffix that best fits at the end of the word. You can click to hear the word again. Can you get a home run for your team? 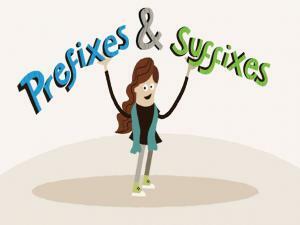 This short video lesson sets out prefixes and suffixes and how you can apply them to base words to create new words. The audio is very clear and the illustrations are useful, providing an easy introduction to the topic. 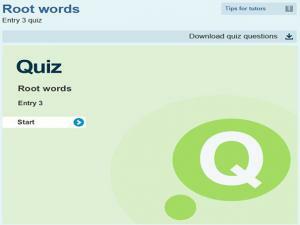 Answer 10 multiple choice questions and see how good you are at adding the suffix 'ing' to words. 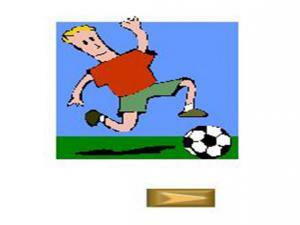 Click on the answer you think is correct and see if you can score a goal past the keeper! 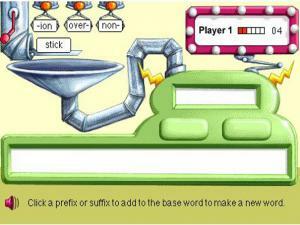 This is a fun game to practice creating new words by adding prefixes or suffixes. 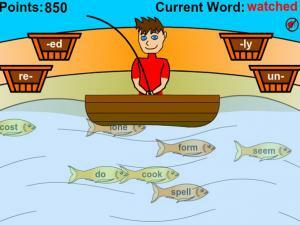 Use your fishing skills to fish the root word and then place it in a suffix or prefix basket to make a new words and score points. Get one wrong? Watch out! See what happens to your fish! 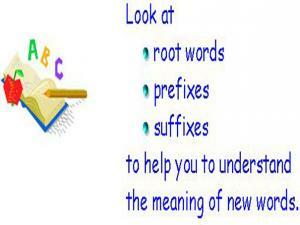 This is a short lesson on root words, prefixes and suffixes to help you understand the meaning of new words. Look at the word structure, its meaning and then see it used in an English sentence. There are fun exercises to do to test your new knowledge. 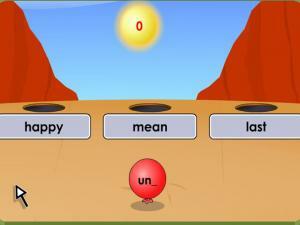 Practice adding suffixes to words with this game. 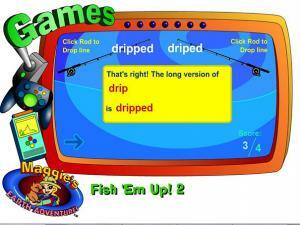 Fish for the word endings by clicking on the fishing rod with the correct lengthened word. Form a flock of flamingos with suffixes -y and -ly. Add a '-y' or '-ly' to each word in bold so that its meaning matches the given phrase. How many flamingos can you collect? 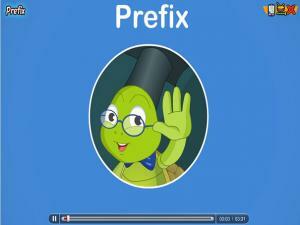 A great video lesson on prefixes and suffixes whatever your age! 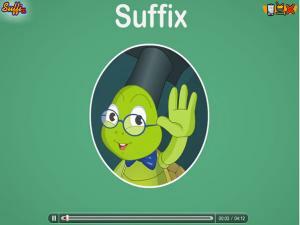 Join Pinky the Mouse and Ela the Elephant and see examples of prefixes and suffixes, how they can change word meanings and how they are different from each other. There are great exercises at the end to test your understanding. 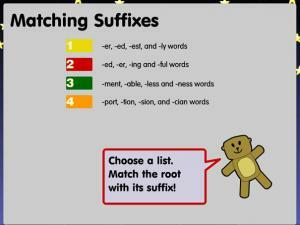 This is a great resource that offers you 5 lists of suffixes to play each game with. You have to match the suffix with its root word. At the end you will see a summary of all the new words you have created. 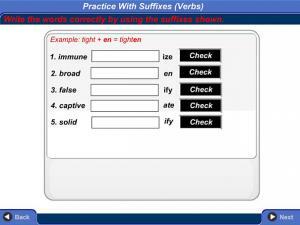 Go through all 5 lists and practice all the different types of suffixes in English. Practice using the suffixes 'ful', 'ly' and 'er' by reading the story below and choosing the correct word to fill in the blanks. You have to click on the "x" in the corner of the pop up picture to close it before going on to the next question. 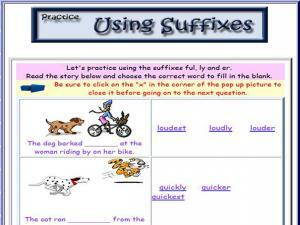 Add suffixes to base words to form nouns in this great interactive lesson. A fun, interactive lesson for you to try! 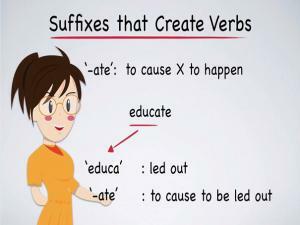 Use suffixes to form verbs, but beware that the spelling may change when adding the suffix. 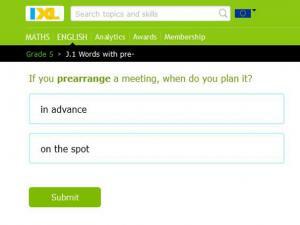 Read the sentence and choose the correct word to complete the phrase. The reaction of the pop up figure will let you know if you are right or not! 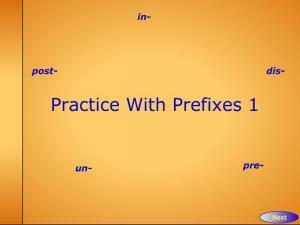 This is an interactive lesson and quiz on prefixes. It also helps you practice your reading skills! 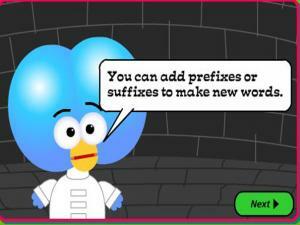 Create new words by adding prefixes and suffixes to root words. Move the balloon across the desert. Pick up the jewels and add a prefix or suffix to create a new word. Remember to avoid the cactus! 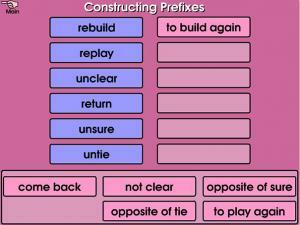 Prefixes hold the key to building the castle and making it light up. Click on a crystal and type in the word that matches the description shown in the box. Answer it correctly and add another part of the castle. Answer all of them correctly and watch the light show! 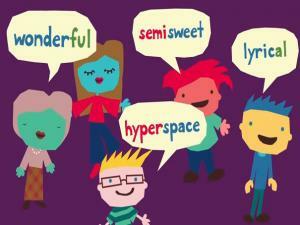 Did you know English has more than 50 prefixes? This site takes the most common prefixes and asks you to add them to a base word to create a new word fitting the definition given. There is a review page that you can go back to at any stage during the lesson. 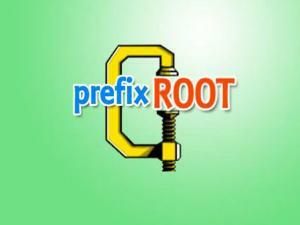 Do you know how to recognize a root word, suffix or prefix? Read the sentences and pick the correct root word out of the 3 options. There is a full mark sheet at the end to explain your results and where you need to practice. 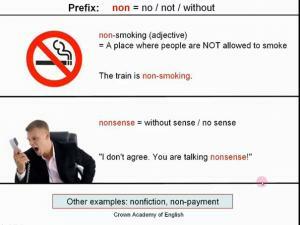 This is short, simple video lesson that explains the ins and outs of the prefix, an 'affix' that comes before a root word. It gives examples of the main ones found in English and shows how, by adding a prefix, you can change the meaning of a word. 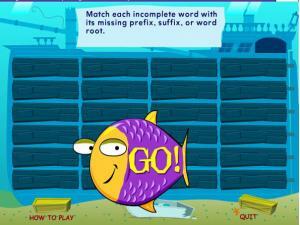 A fun matching game where you move the diver and match each incomplete word with its missing prefix, suffix or word root. 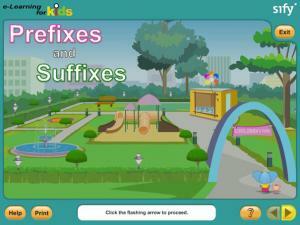 A good game to check your understanding of what a prefix and suffix is. 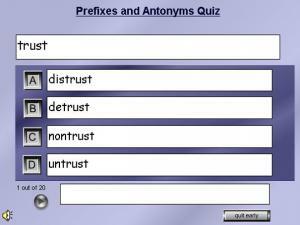 Read the word and then type in the correct prefix, base and suffix. If you are incorrect, try again. There is a full list of answers given at the end of the game. 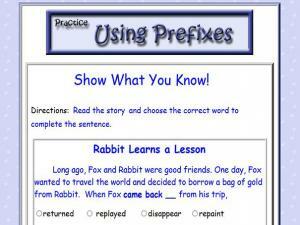 This is a memory game, as well as testing your understanding of different prefixes. Click on the cards to match the prefixes with their meanings. 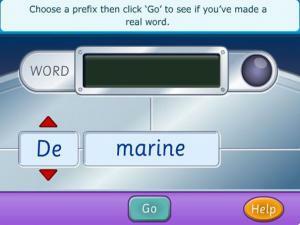 This game tests your general knowledge of the meaning of prefixes. Line match the prefix on the left with the matching meaning on the right. 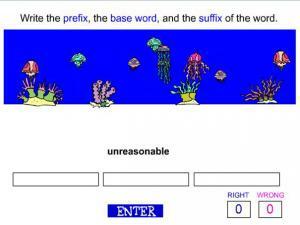 This game tests your general knowledge of the meaning of suffixes. 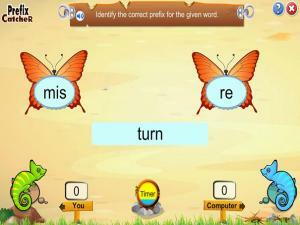 Connect the suffix on the left with the suffix meaning on the right. 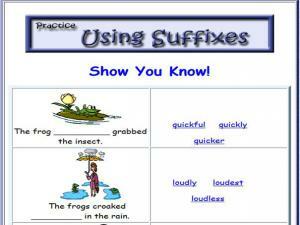 Use simple strategies to determine meaning and increase vocabulary for reading, including the use of suffixes. 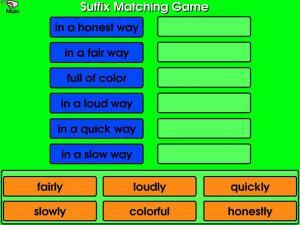 Match the prefix with the opposite meaning by dragging to construct a match. 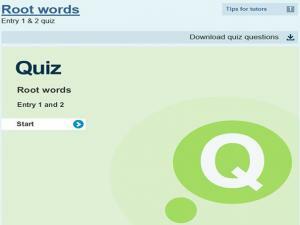 Interactive quiz where you have to drag the word to the correct meaning. In this video watch and learn about three suffixes that are used to create verbs (-ate, -ify, -ize/-ise) and how to change these verbs into abstract nouns using the suffix (-ation). There are lots of examples throughout the lesson and review questions at the end to test your new understanding. 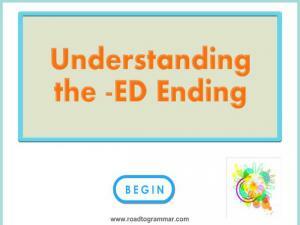 A fantastic, detailed lesson on the -ed ending. There are 15 categories to work your way through, with explanations, examples and exercises to check your understanding. Starting at the basic form, the lessons takes you right through to looking at the passive voice and use within clauses. Help Remainder the Dog gather enough mushrooms to sell at the market by uncovering the roots of words. There are 3 categories and several difficulty levels. 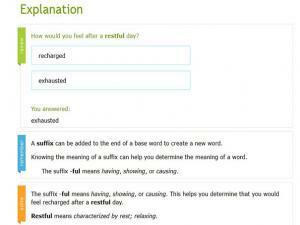 Test your knowledge of words ending in the suffix -ful. This is also a good general test of your vocabulary skills! 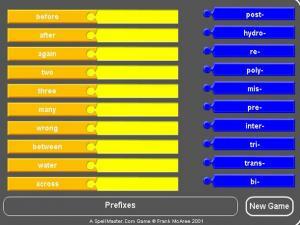 In this game you must match prefixes and suffixes with their meaning to restore power to Maggie's communicator. You must match the words on the left with the words on the right using the switches. When you have selected two switches press the red power button. If you are correct, you will increase the power. 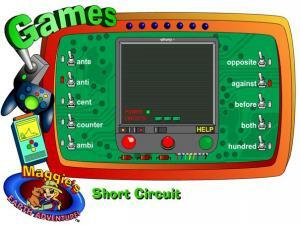 If you are incorrect you will short circuit one of your three circuits. There are 4 difficult levels to choose from. 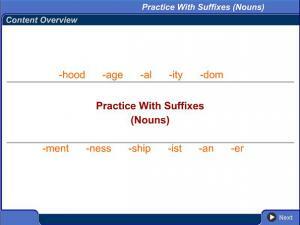 Do you know the meaning of suffixes? Let's see if you can win some big money while you learn! 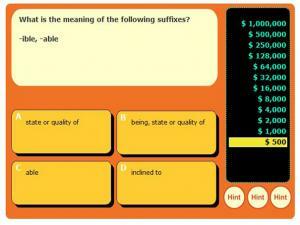 Determine the meaning of the suffix and then choose the correct answer. Compete with the computer chameleon! Identify the correct prefix for the given word and gobble up as quickly as you can!